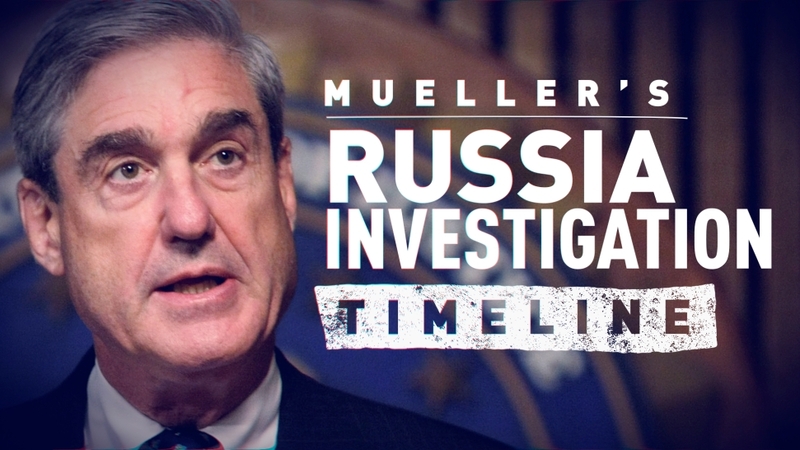 Special counsel Robert Mueller's investigation into Russian interference in the 2016 election has ended without additional indictments. The investigation has stretched over nearly two years, leading to a slew of criminal charges, including against three of President Donald Trump's close associates: personal lawyer Michael Cohen, former campaign chairman Paul Manafort and his first national security adviser, Michael Flynn. Trump has deemed the probe a "witch hunt" aimed at embarrassing him, a refrain picked up by some Republican lawmakers and many of Trump's supporters. Democrats have fought to ensure that Mueller's investigation be kept impartial. It began in May 2017, a week after Trump fired FBI Director James Comey — Trump told NBC News that, when he decided to fire Comey, he was thinking, "this Russia thing with Trump and Russia is a made-up story." May 17, 2017: Deputy Attorney General Rod Rosenstein appoints Mueller, a former FBI director who worked under Republican and Democratic presidents. Rosenstein said, "the public interest requires me to place this investigation under the authority of a person who exercises a degree of independence from the normal chain of command." Robert Mueller, the former director of the FBI, has been named special counsel to oversee the investigation of Russian efforts to influence the 2016 presidential election. Oct. 5, 2017: Trump campaign foreign policy adviser George Papadopoulos pleads guilty to lying to the FBI about his communications with Russia, the first guilty plea revealed in Mueller's probe. Oct. 30, 2017: The first indictments in the investigation are unsealed against former Trump campaign chairman Paul Manafort and his deputy, Rick Gates. The charges covered a range of crimes, including bank fraud, lying on taxes and conspiracy. Both pleaded not guilty. Dec. 1, 2017: Former Trump national security adviser Michael Flynn pleads guilty to lying to the FBI about his communications with Russia. He began cooperating with Mueller's probe. Feb. 16, 2018: Mueller brings the first indictments tied to Russian interference in the 2016 election, against 13 Russians and three Russian citizens who allegedly meddled in it. Feb. 23, 2018: Gates pleads guilty to conspiracy and lying to the FBI. He also began cooperating with Mueller's prosecutors. July 13, 2018: Twelve Russian intelligence officials are indicted for allegedly hacking Democratic officials and stealing information of about 500,000 Americans. Aug. 21, 2018: Prosecutors get the probe's first victory in court as Manafort is found guilty on eight counts, while a mistrial was declared on 10 more. The next month, Manafort pleads guilty to two more counts and agrees to cooperate with Mueller. Former Trump campaign chairman Paul Manafort was found guilty of eight counts of bank and tax fraud on Tuesday. A federal jury deadlocked on the 10 other charges. Nov. 26, 2018: Prosecutors claim Manafort broke the cooperation agreement, later telling the court that he told "multiple discernible lies." Nov. 29, 2018: In a deal with Mueller's team, Michael Cohen, Trump's former personal attorney, pleads guilty to lying to Congress about a proposed Trump development in Moscow and Cohen's contacts with Russian officials. He was sentenced to two months in prison for those lies, part of a three-year sentence that also included a guilty plea to campaign finance violations. Jan. 25, 2019: Longtime Trump associate Roger Stone is arrested in a pre-dawn raid in Florida and indicted on obstruction, lying and witness tampering charges. Stone later pleaded not guilty. Another confidant of President Donald Trump was arrested during the course of special counsel Robert Mueller’s investigation into possible Russian interference in the 2016 presidential election. Roger Stone was charged with witness tampering, obstruction and lying to authorities. March 7, 2019: Manafort is sentenced to 47 months in prison on bank and tax fraud charges, a far shorter term than what the sentencing guidelines called for, though the longest sentence to date in Mueller's probe. 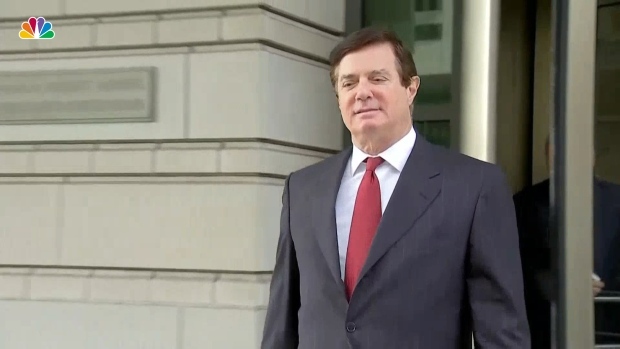 March 13, 2019: A separate federal judge adds three-and-a-half more years to Manafort's sentence on the conspiracy charges, bringing the former Trump campaign manager's sentence to seven-and-a-half years in prison, with credit for nine months of time served. 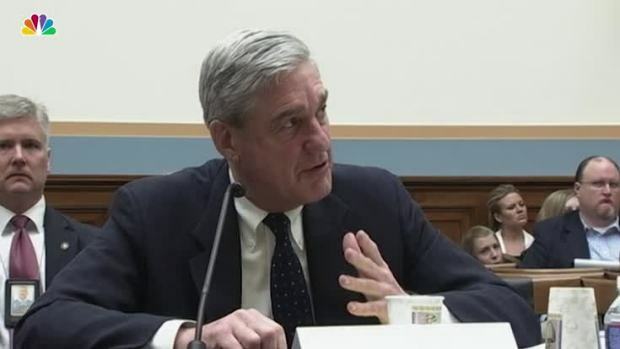 March 22, 2019: Mueller submits his confidential report on the findings of his investigation to U.S. Attorney General William Barr, who releases a short summary of it two days later. The summary says Mueller found no collusion between the Trump campaign and Russia and that there wasn't enough evidence to bring obstruction of justice charges. 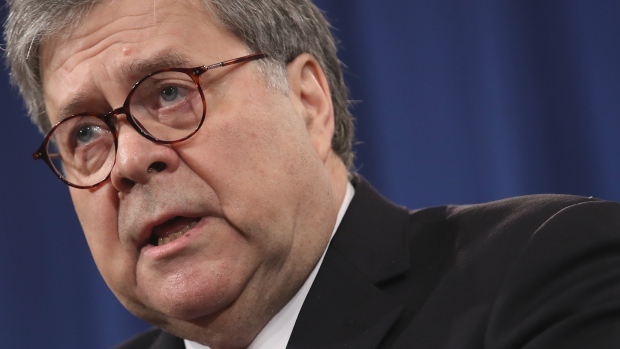 April 18, 2019: Barr releases the 448-page report to the public after holding a news conference reiterating his conclusions. The report broadly confirms Barr's summary, though it also details how Trump tried to influence the investigation, saying he was unsuccessful largely because his staffers "declined to carry out orders or accede to his requests."